LIC of India has launched a new endowment plan Jeevan Labh (Plan No. 836) from 04/01/2016. 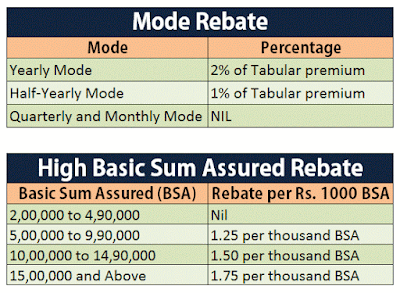 Jeevan Labh is a limited premium paying, non-linked, with-profit endowment assurance Plan. Unique identification number (UIN) of Jeevan Labh plan is 512N304V01. This policy is available from a child of 8 years old to person of age 59. Main feature of this plan is very limited premium payment option, for 16 year policy term customer have to pay premium for 10 year and for 21 and 25 years of policy term policy holder have to pay premium for 15 and 16 years respectively. On death of the life assured during the term of the policy, the Death Benefit defined as sum of “Sum Assured on Death” and vested simple reversionary bonuses and Final Additional Bonus, if any, shall be payable. This policy will participate in the profits of the Life Insurance Corporation of India and will be entitled to receive simple reversionary bonus declared as per the experience of LIC, provided the policy is in full force. Final additional Bonus may also be declared under the policy which will be payable on the expiry of the policy term or death. Final additional bonus will not be payable on paid-up policies. 1. LIC’s Accidental Death and Disability Rider UIN (512B209V01): If this benefit is opted for an additional amount equal to the Accidental Benefit Sum Assured is payable on death due to accident, provided the rider is in full force at the time of the accident. 2. 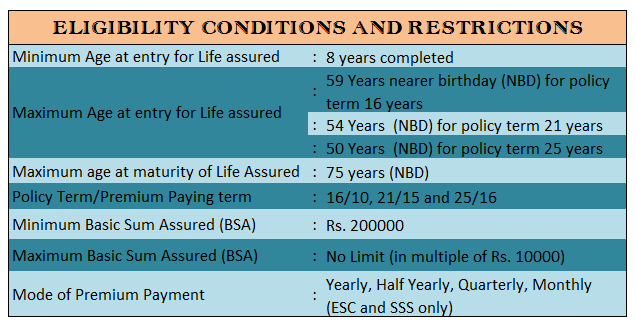 LIC’s New Term Assurance Rider UIN (512B210V01): If policy holder opt for this rider then, an amount equal to Term Assurance Rider sum assured will be payable to on death of the Life Assured during the policy term, provided the rider cover is in full force at the time of death. 3. Loan facility is available under this plan, after payment of premiums for at least 3 full years subject to conditions: Maximum loan for inforce policy-90% of surrender value and for paid up policies 80% of surrender value. Life Insurance Corporation of India (LIC) has launched 'Jeevan Shikhar', a closed-ended plan which would be open for sale from January 11 up to March 31. It is a non-linked, with profits, single premium plan, wherein the risk cover is 10 times of tabular single premium providing a combination of savings and risk cover. Under this plan, the proposer/life assured will have an option to choose the maturity sum assured, and the single premium payable will depend on the chosen amount of maturity sum assured and the age of the assured. The plan is available from ages six to 45 years. Minimum maturity sum assured is Rs 1 lakh, with maximum basic sum assured having no limit. The maturity sum assured can be in multiple of Rs 20,000 only, with a policy term of 15 years. Loan facility is also available under this single premium plan. On the policyholder surviving to the end of the policy term the maturity sum assured along with loyalty addition , if any, shall be payable. In case of death of the life assured during first five policy years and after commencement of risk 'sum assured on death' equal to 10 times the tabular single premium will be payable. On death before commencement of risk, single premium without interest after deducting extra charged, if any, will be refunded. On death after completion of five policy years but before the stipulated date of maturity "sum assured on death" equal to 10 times the tabular single premium along with loyalty addition, if any, will be payable. AMD marks a major step towards delivering choice and innovation in the data center with the launch of the AMD Opteron A1100 System-on-Chip (SoC), formerly codenamed “Seattle”. Jointly with its software and hardware partners, AMD is accelerating time-to-deployment of ARM-based systems and driving forward ecosystem support for ARM in the data center. 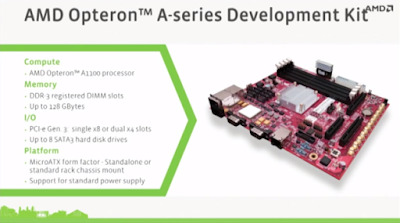 The AMD Opteron A1100 Series SoC is the first 64-bit ARM Cortex-A57-based platform from AMD. 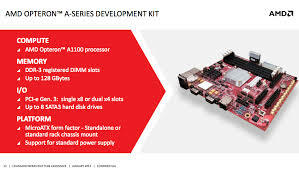 Utilizing ARM Cortex-A57 processors with high-speed network and storage connectivity and outstanding energy efficiency, the AMD Opteron A1100 Series SoC delivers a balanced total cost of ownership for storage, web and networking workloads. AMD is also collaborating with Silver Lining Solutions (SLS) to integrate SLS’ fabric technology in innovative dense server designs featuring the Opteron A1100 Series, targeted at streaming, web, and storage workloads for cloud and hyperscale datacenters. The SLS Fabric Interconnect incorporates a low-latency, energy efficient 60Gbps switching fabric and is available as a PCI Express expansion card or a standalone ASIC for custom server applications. In addition to silicon innovation, AMD has been instrumental in supporting the 64-bit ARM software ecosystem, a critical component to any new processor, and has been working closely with Enterprise Linux leaders Red Hat and SUSE on operating system and application support. “Red Hat and AMD share a vision of building an open, standards-based software ecosystem for highly converged designs based on 64-bit ARM architecture. As one of the first participants in Red Hat's ARM Partner Early Access Program, AMD has been instrumental in the testing and porting of the world's leading enterprise Linux platform to 64-bit ARM architecture", said Ranga Rangachari, vice president and general manager, Storage, Red Hat. "The arrival of the AMD Opteron A1100 SoC represents a major milestone to the ecosystem interested in driving converged infrastructure for storage, networking, and compute." 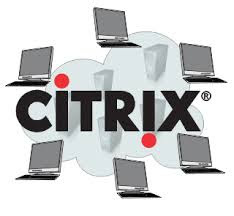 Citrix has announced that Kirill Tatarinov has been appointed President and CEO, effective January 25, 2016. 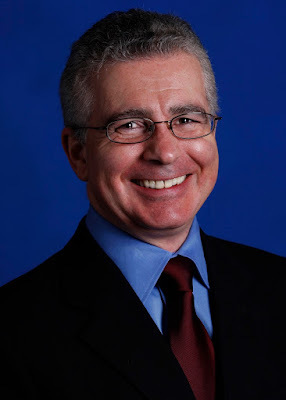 A veteran Microsoft executive, Tatarinov will also join the Citrix Board as a director at that time. Interim President and CEO Robert Calderoni continues his role as Executive Chairman on the Citrix Board of Directors, focused on driving execution of the strategic plan for operational excellence, capital structure and portfolio simplification. With 30 years of industry experience, Tatarinov has a long and successful track record overseeing product strategy and commercial operations in software and services. His background includes leadership positions at Microsoft for 13 years, including most recently serving as Executive Vice President of the Microsoft Business Solutions Division where he doubled revenue, increased profitability, led the division’s transformation to the cloud, and managed the global partner ecosystem. During his tenure at Microsoft, he also served as Corporate Vice President of the Management and Solutions Division where he accelerated product strategy execution, resulting in strong revenue growth. Prior to Microsoft, Tatarinov was a member of the senior leadership team at BMC, where he served as the Chief Technology Officer, as well as holding product and business development leadership positions. The CEO search process was led by a committee of the Board consisting of Robert Calderoni (committee chair), Godfrey R. Sullivan and Jesse Cohn, with the assistance of Heidrick and Struggles, a leading executive search firm. With Tatarinov’s appointment, the Citrix Board will be comprised of 11 directors. With the revolution of communication and technology, there are plenty of instant messaging apps launched for people who want to get past the limitations or shortcomings of communication. Amidst all this, n-gage – world’s first 360 degree Lifestyle chat-app has broken the app barrier by enabling users to message others across any messaging app in the world. “The journey and thought of developing an app like n-gage started when I faced health issues in my life. 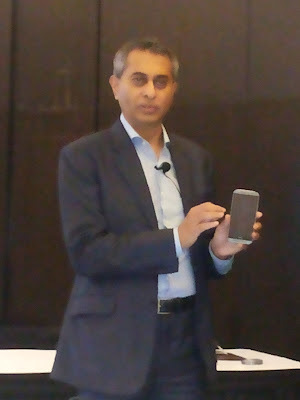 The lack of ability for people to connect on health problems inspired me to make an app like n-gage.” says Ajit Patel, CEO & Founder of n-gage. 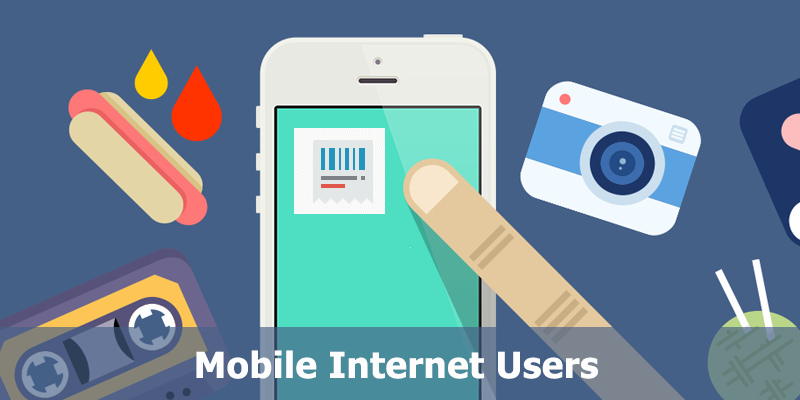 In the past decade a number of Instant messaging apps have launched globally, subsequently resulting in people installing a cluster of apps on their devices to cater to their individual needs. 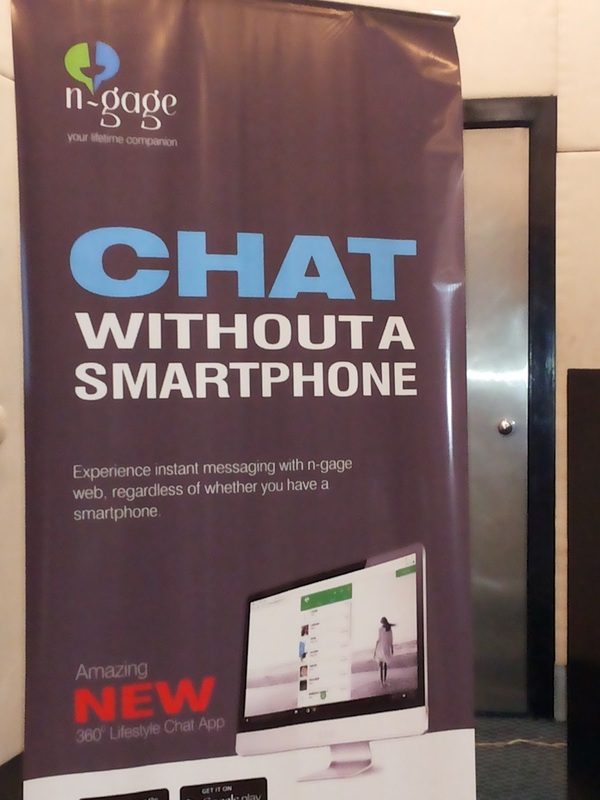 Today, with its launch in Bangalore, n-gage has broken this platform barrier, and become the first consolidated messaging app with the most popular features in one easy to use interface. “As communication and information travel faster and faster, the world seems to get smaller and smaller. This changes how the world communicates, especially with today’s obsession with social media networks. Keeping this in mind, n-gage offers a novel form of communication by liberating its users to enjoy rich messaging across other instant messaging apps like WhatsApp, Facebook, and many more without the need of a smartphone, or the receiver downloading n-gage” adds Ajit. Another ground-breaking innovation of n-gage is its video-calling feature across other platforms that bridges the gap and brings people closer without any interruption. Users can now make one to one or group video calls with friends, by inviting them on WhatsApp, Hike, Facebook or any other social platform to join the call. n-gage has also moved a step ahead by the launch of its ‘Translate’ feature through which users can instantly translate their incoming and outgoing messages in over 45 languages. With the advancement of technology and increasing number of social apps, privacy is a major concern for users today. To address this concern of privacy and security, n-gage has taken extra measures by introducing new ways to ensure privacy to suit the individual needs. n-gage is not only limited to messaging across other messaging apps, but allows users to express their emotions through the personalisation features added to ‘n-Cards’, ‘n-Stickers’ and ‘Doodle Plus’. Users can add text, audio or image to their n-stickers and n-cards, or handwrite or draw their messages to friends who use WhatsApp, Hike, Facebook, SMS, etc. n-gage is a promising app that will revolutionise the way people communicate in today’s world. The app is available for use on Android, iOS, PC and tablet. 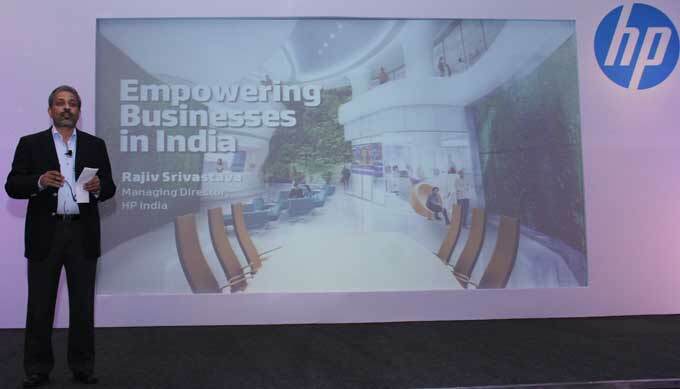 HP Inc. has announced that it is offering a new Device-as-a-Service (DaaS) programme, empowering businesses in India to stay ahead, move fast, be more efficient and deliver the best experiences to their customers. With HP Device-as-a-Service, enterprises and organizations use their PCs like a utility - they pay one price per seat on a monthly basis over a three or four year period. They also get customized services and support from HP, such as PC configuration and software installation, onsite break-fix, data migration, proactive support, while having the ability to upgrade to the latest HP commercial desktop, notebook PCs, and tablets for subsequent contract periods. HP DaaS incorporates services, support and eventual disposal as part of one overall services agreement. This is different from typical leasing agreements where PC acquisition, setup and maintenance are covered under separate contracts. This means that organizations can enjoy more predictable annual costs and greater ease from having to manage just one contract during their entire PC lifecycle. HP DaaS also covers secure and responsible disposal of PCs, a final phase in the PC lifecycle that is often overlooked and risk the leak of sensitive information. HP DaaS was first implemented with Maruti Suzuki in India, with a focus on empowering their sales force with tablets that come with interactive content and serve as an on-ramp for customer information. · Serving the broad needs of the nonprofit community. A new global donation program will make Microsoft Cloud Services, including Microsoft Azure, Power BI, CRM Online and the Enterprise Mobility Suite, more available to nonprofit organizations through Microsoft Philanthropies. The program builds upon an already successful program that provides similar access to Office 365 for nonprofits. The nonprofit program for Microsoft Cloud Services will begin rolling out this spring, and Microsoft Philanthropies aims to serve 70,000 nonprofits in the next three years with these Microsoft Cloud Services. · Expanding access to cloud resources for faculty research in universities. 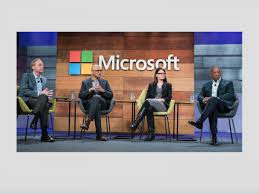 Microsoft Research and Microsoft Philanthropies will expand by 50 percent the Microsoft Azure for Research program that grants free Azure storage and computing resources to help faculty accelerate their research on cutting-edge challenges. Today this program provides free cloud computing resources for over 600 research projects on six continents. · Reaching new communities with last-mile connectivity and cloud services. Microsoft Philanthropies and Microsoft Business Development will combine donated access to Microsoft Cloud services with investments in new, low-cost last-mile Internet access technologies and community training. By combining cloud services with connectivity and training, and focusing on new public-private partnerships, Microsoft Philanthropies intends to support 20 of these projects in at least 15 countries around the world by the middle of 2017. · Providing nonprofits with better access to Microsoft Cloud Services, including the powerful Microsoft Azure platform, builds upon Microsoft’s longtime commitment to making cutting-edge technology available at no or low cost to organizations working on solving some of society’s toughest problems. · Microsoft Research is working with the São Paulo Research Foundation (FAPESP) Biodiversity Research Program through the use of 700 wireless sensors, cloud technology and automated data-stream processing to understand how cloud forests work and study the impact of climate changes on the communities supported by those forests. · Through a partnership with the University of Texas at Austin called Project Catapult, Microsoft makes advanced cloud computing technology available to researchers that have demonstrated the ability to deliver lower power and cost, higher-quality results, or a combination of both. · In Botswana, Microsoft is partnering with the Botswana Innovation Hub, Vista Life Sciences, the United States Agency for International Development and Global Broadband Solutions to assist Botswana, the University of Pennsylvania and the Ministry of Health in leveraging cloud-based health records management and Internet access enabled by use of TV white spaces to remotely deliver specialized medicine, including cervical cancer screenings to women at rural healthcare clinics. 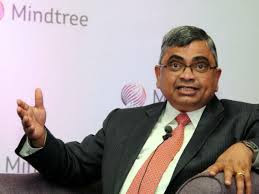 Mindtree’s Board of Directors is pleased to announce the appointment of Rostow Ravanan as the CEO and Managing Director, and Krishnakumar Natarajan as the Executive Chairman. Subroto Bagchi steps down as Executive Chairman but continues on the Board as a non-executive director. Ms. Apurva Purohit, Independent Director and Chairperson of the Nomination and Remuneration Committee of the Board said, “This is the culmination of a year-long succession planning exercise that the Board had undertaken after carefully considering several candidates. We are very happy with the process and the outcome. We believe that Mindtree with a stellar management team is fully ready for the opportunities and the challenges ahead. The Board recognizes and thanks Subroto for his invaluable contributions and inspirational leadership. All the changes announced today will be effective April 1, 2016”. Rostow Ravanan, 44 is a member of Institute of Chartered Accountants of India, Institute of Company Secretaries of India and alumni of Harvard Business School. . In April 2014, he stepped out of his role as Chief Financial Officer and took over as Head for Europe, Service Lines and Key Accounts. Rostow has won several industry recognitions in his previous role as CFO. “I am very honored and humbled at being named to lead one of the most valuable and respected IT services companies. 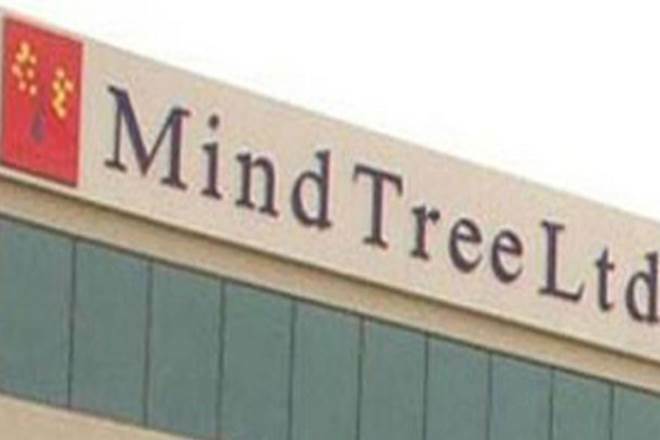 It will be my endeavor to build further on this legacy and take the organization to greater heights on the strength of a stellar leadership team, the expertise and dedication of Mindtree Minds and an amazing set of customer relationships”, said Rostow. Subroto Bagchi said,” "Together we have built one of India's most valuable companies. It has been a privilege to serve this great institution". 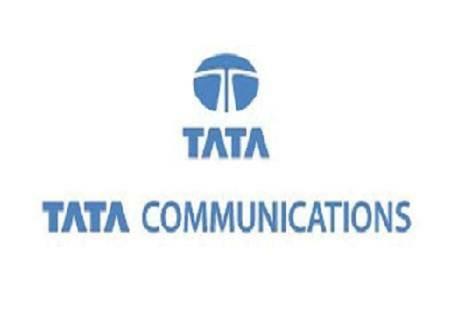 Tata Communications announces the launch of its flagship Global SIP Connect service as a white-label solution for service providers. The SIP trunking offering will enable service providers to expand their voice services to customers through Tata Communications’ global network reach and unified communications portfolio without major up-front investment in building their own solution. In turn, their business customers will benefit from a new way to transform their voice network with a potential 55% network cost saving. Due to the growing demand for unified communications, Infonetics forecasts that 62% of enterprises are expected to use SIP by 2017 for a portion of their voice connectivity requirements. 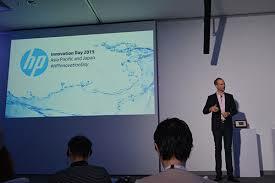 Underpinned by Tata Communications’ global network – with connectivity to over 240 countries and territories – Global SIP Connect white-label solution empowers service providers to meet this demand through faster time to market and a reliable, high quality user experience for their global customers. Mike Sapien, Principal Analyst, Ovum Research, says, "Our research shows that enterprises of all sizes are expanding globally which increases the difficulty in providing integrated global voice infrastructure to support enterprise communications and applications. Global SIP services are now a critical ingredient in creating an IP platform to enable many enterprise applications including all aspects of enterprise voice and unified communications. There are very few providers who can cover all major regions of the world with their own voice network infrastructure so Tata Communications' Global SIP Connect white-label alternative should be attractive to many providers, integrators, resellers and large enterprise customers who need global reach." 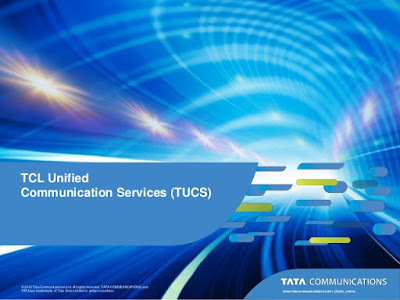 Tata Communications’ unified communications portfolio has a strong roadmap with upcoming additional white labeled services such as Tata Communications with Skype for Business, InstaCC Global, Jamvee and Click2RTC. Global SIP Connect white-label service offers a comprehensive portfolio of services including inbound and outbound international and domestic voice calling, the latest in SIP based full PSTN replacement, along with International toll free and local number service and full compatibility with the Microsoft Skype for Business (formerly Lync) unified communications platform. 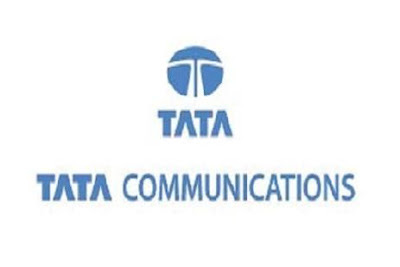 Tata Communications’ Global SIP Connect is underpinned by the company’s global network - the world’s largest and most advanced global subsea cable. The company also offers one of the world’s largest international voice networks, integrating with over 1,600 carrier partners, 780 mobile providers and 700 VoIP operators globally. NASSCOM welcomed the Union Government’s focus on creating a culture of entrepreneurship in India with the announcement of the ‘Start-Up India’ action plan. This action plan will not only foster a conducive ecosystem for start-ups to accelerate their growth but will also provide the much-needed fillip to ease of doing business and encourage development of innovative products and solutions in India. 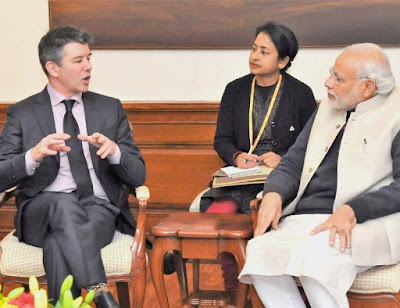 The Government had been interacting with various stakeholders for inputs and NASSCOM had shared extensive recommendations with various Departments. NASSCOM is pleased to note that the government has taken into account most of its recommendations for removing bottlenecks while making a comprehensive action plan for start-ups. · Definition of start-ups: Registered in India within the last five years and has annual turnover not exceeding Rs.25 crore in the preceding year. · Self-certification: Corner-stone of NASSCOM’s suggestion aimed at simplifying compliance, making it easier for start-ups to focus on translating their ideas into products and solutions. · Single Window for approvals and registrations: The startup India hub will serve as a single point for regulatory clarifications, easy and faster registration and filings. · Timelines for company registrations to be reduced – the Government will crash the timelines of registrations to 1 day and also make available a portal for web/mobile based registrations, including automating several steps in name search, providing option of tracking status of registration. · Support for filing patents: Delays in processing patent application, need for legal guidance and financial support for filing patents, registering designs etc has been a key ask and the action plan has articulated a detailed plan to facilitate IPR filing including fast tracking as well as legal advice. o Capital gains exemption for reinvestment in startups: Addressing the long pending demand of venture capital investors, this capital gains exemption has been extended to VCs and AIFs for investment in startups. Also, eligible expenses will include expenditure in computer and computer software as new assets which will help the IT and tech driven startups. NASSCOM also looks forward to the Union budget, 2016 to address some of the remaining issues relating to taxation of capital gains in line with the announcements made on 16th January that capital gains tax rates would be harmonized across various categories of investors. o Income tax exemption for startups: Exemption for three years for start-ups. o Fair market value: To encourage seed-capital investment, investment by incubators in startup is exempted from FMV evaluation and associate taxation. Taking convenience to a new level, Zoomcar, India’s largest self-drive car rental company today unveiled doorstep services for users across all cities – Bangalore, Mumbai, Delhi, Hyderabad, Chennai, Pune and Chandigarh. On this occasion, top management officials and members of the corporate team personally delivered the cars to its customers on January 12 and 13 in Bangalore. The launch of doorstep delivery services by Zoomcar means that the customers can now get a car delivered and picked-up by Zoomcar executives at a location of their choice, be it office, home or any other place. 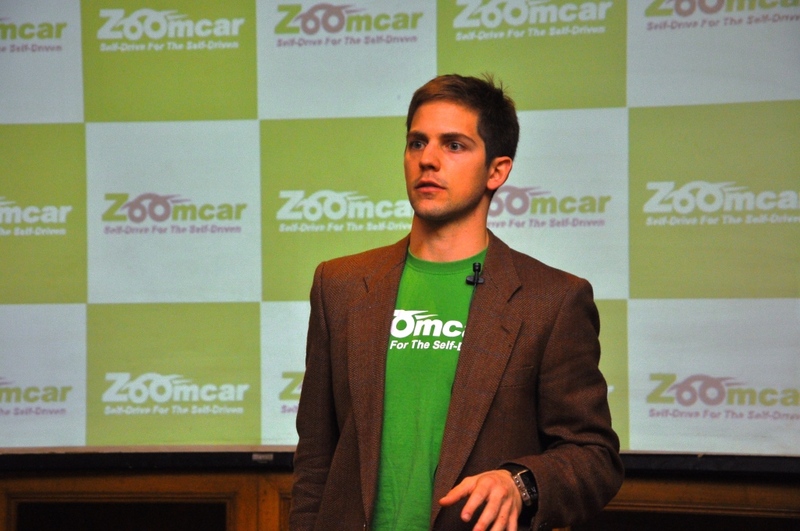 Zoomcar has completely revamped its booking process and created the required internal capabilities in terms of technology, manpower and product to avoid last mile issues for customers and ensure that seamless delivery can be provided. The new offering is set to change the market dynamics for the emerging self-drive industry in India. 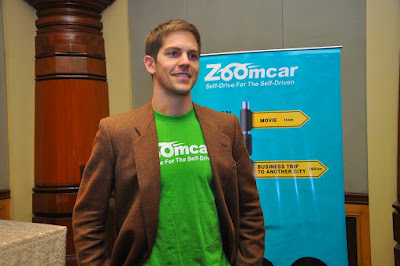 This announcement comes soon after the launch of Zoomcar services in Chandigarh last month. With addition of the new city, Zoomcar now boasts of a presence in 7 cities across India with a fleet of more than 2000 cars. The new initiative will not just enhance customer convenience and experience but will also benefit users from a safety standpoint. It promises to revolutionize the way self-drive and car rental is viewed in India. Zoomcar has constantly been striving to revolutionize the self-drive car experience for people in India through initiatives like app bookings and keyless entry. The new offering is in line with the vision of the company to constantly innovate and deliver services that push the boundaries of personalized service in self-drive. Zoomcar has also designed specialized packages like Zoom Lite, Zoom Classic and Zoom XL to fulfill different requirements of customers and offer them a value for money self-drive experience. 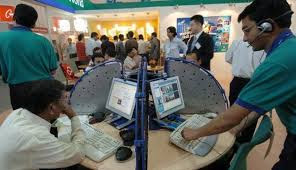 The number of Internet users in the country is expected to go up to 50 crore, from the present over 40 crore, in next 5-8 months, Telecom Minister Ravi Shankar Prasad said recently. 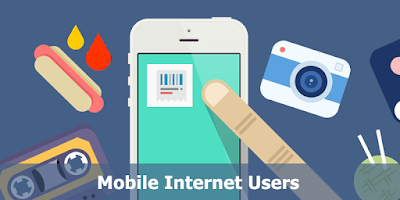 “The number of people using Internet has crossed 40 crore in the country at present. I am expecting this number to go up to 50 crore in next 5-8 months. “According to our estimate, out of these, 70 per cent people are going to access Internet through mobile phones,” Prasad said here at an Indore Management Association function. “The NDA government, led by Prime Minister Narendra Modi, is trying to awaken the efficiency and innovation in the public. We are constantly simplifying the government policies and procedures for good governance and development,” he said. “Former Minister Atal Bihari Vajpayee’s government is known for construction of National Highways. 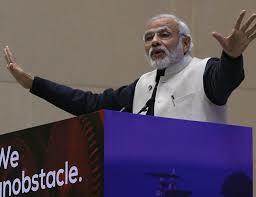 The present Prime Minister Narendra Modi government will be known for setting up Information Highways,” Prasad said.